September is Life Insurance Awareness Month (LIAM). At its most basic, life insurance protects the people you love against financial harm in the case of your death. Of course no one likes to think about death, but safeguarding your family’s financial security is a very important consideration for everyone. Imagine what would happen in your own family in the event something happened to either you or your spouse. According to a 2018 study by The Life Insurance Marketing and Research Association, or LIMRA, 35 percent of all households in America would suffer financially within one month if their primary wage earner died. Despite this, about 40 percent of people have no life insurance coverage at all. And among those with coverage, 20 percent say they don’t have enough. Some might be scared off by the perceived cost of coverage. But the perception might not be the reality. According to LIMRA, 44 percent of Millennials estimate the cost of insurance at five times more than it actually costs. Life insurance can play an important role at any stage of your life. Single people who have substantial debt and/or provide financial support for aging parents might consider a life insurance policy. Young couples with children could use life insurance to ensure that the family would have the financial resources to maintain their lifestyle in the event of the premature death of either parent. Established families are typically in their peak earning years, and life insurance could help the surviving family members to pay off the mortgage and expenses such as college costs while also providing an income stream. Retirees could leverage life insurance to protect their retirement plan and to ensure that their estate will be passed on to their heirs as they planned. A life insurance policy also could be used to pay funeral expenses as well as any state and/or federal estate tax. There are many different options for life insurance, with many different price points. When you are ready for a more detailed discussion of life insurance, feel free to give us a call. We believe in getting to know our clients to better understand their situation, what they want, and what they would like a life insurance policy to accomplish. We can help you understand all the options available to you, the pros and cons of each, their costs and coverages. That way you can make the best choice for yourself and your family. If you would like to talk about life insurance or any insurance or wealth management need, you can contact me at 847-572-0803 or mcollins@bensman.com. 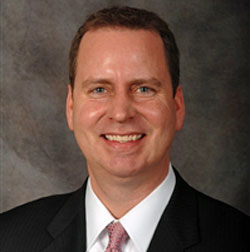 Michael R. Collins is Director, Individual Insurance for The Bensman Group.